Solar Powered. Soaks Up The Sun’s Energy During The Day And Shines Brightly At Night. 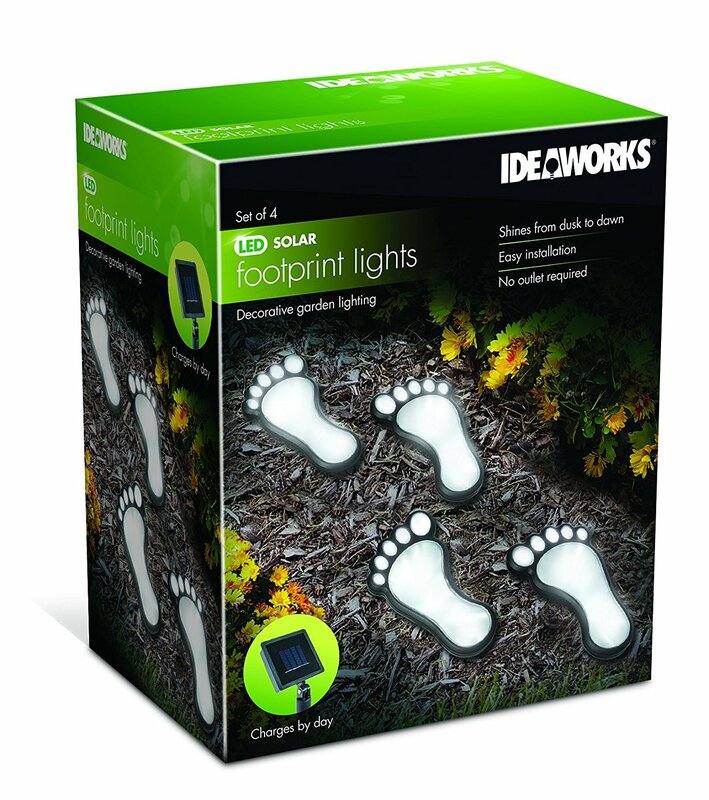 Add both decor and light to your garden with our solar powered foot print lights. 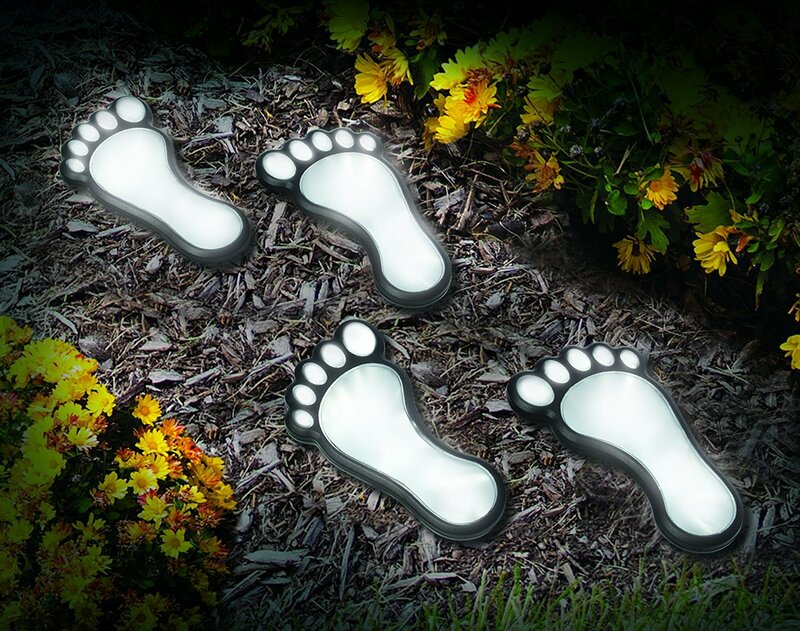 Light up your porch, garden, patio, walkway, or any outdoor setting with the solar foot print lights. They shine from dusk to dawn due to its included solar powered battery. Each day rays from the sun recharge the battery. At dusk the battery activates to turn on the LED bulbs. The installation and setup of the solar lights are simple and easy, no wiring or tools are needed. You can have the lights assembled within minutes. They can withstand rain, snow, sleet, and hail, so there is no need to worry about their longevity.